This qualification is available via Recognition of Prior Learning (RPL) for experienced leaders, managers and business executives. Are you a leader in your field? Do you understand how your organisation manages its operations? Have you led the development of your team? If so, then you may be eligible for the BSB60215 Advanced Diploma of Business via full RPL. The CLET BSB60215 Advanced Diploma of Business is offered via recognition of prior learning (RPL) to people who have extensive experience in leadership and management with organisations that are based in a business model. This includes the public and private sectors. To be eligible for full RPL for the BSB60215 Advanced Diploma of Business you need to be able to demonstrate your years of experience in a leadership and management role. So, are you a Sergeant or above in the military, a Sergeant or above in the police, or a Station Officer or above in the Fire Service? Are you a Nurse Unit Manager, a Station Officer with Ambulance, or a Superintendent with the mines? 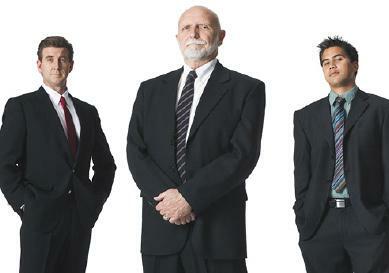 Are you an experienced business owner or franchisee? 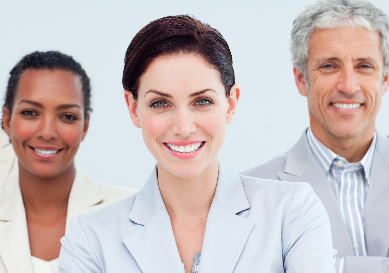 Are you in Local, State or Federal Government with executive duties? If you have held any of these roles, or any of the many more that are relevant to the business field, we recommend you apply to be assessed for the CLET BSB60215 Advanced Diploma of Business via RPL. Having the BSB60215 Advanced Diploma of Business will benefit you greatly in the business sector and represent you in the public sector as capable of leading and managing the organisational development. You can benefit from having a well-rounded leadership and management qualification on your resume, to show future employers that you are a benefit to their organisation. Entry into this qualification is via Recognition of Prior Learning (RPL) ONLY and applications are restricted to people who who can evidence their knowledge, skills and experience against the criteria for this qualification. This qualification is not available via study and no GAP training for partial RPL is offered. The number recorded here indicates the amount of units of competency you will be assessed against during the Recognition of Prior Learning (RPL) review and assessment phases. A unit of competency provides the content, knowledge and skills you will be asked to provide evidence against to show you have achieved the required level from your workplace training and experience. See the course structure accordion below for a full list. The RPL application and assessment process is conducted 'free of charge' and there is no obligation to proceed to the award if you are successful. The dollar amount recorded here is the full RPL fee for this qualification and is only payable if you wish to proceed to the award. Fees will be adjusted accordingly for a Statement of Attainment, depending on how many units are awarded. Face to Face - The majority of course delivery and assessment is conducted in the classroom and practical activities. This may be supported by online resources and assessment. RPL only – if this is recorded, no study option is available, assessment is via RPL ONLY and has restricted entry, please refer to entry requirements. The work outcome/s recorded in this section are advisory only. These are possible outcomes you may wish to investigate before, during or after you successfully complete this course, either via study or assessment for RPL. These possible outcomes are either suggested by the training product, licencing body and/or from our student feedback on employment following them being awarded with this qualification. Of course, like any employment and selection process it can be competitive and may require other knowledge, skills and experience on top of your qualification. However, it is our experience that if you study the area you wish to seek employment in, and/or can successfully present a qualification in that area during the selection process, together with answering interview questions relevant to the position, you will present as a more confident and competitive applicant. See the Work Outcome accordion further down this course page for more suggested positions. To participate in the RPL Assessment process you will be required to complete an RPL application and then provide enough evidence against the criteria relevant to the qualifications best suited to your knowledge, skills and workplace experience. A full list of relevant evidence is provided directly after submitting the application form. Complete the online RPL application form and submit. Upload, email or post your evidence to support your application. Receive an initial RPL review explaining your eligibility. Advise CLET to proceed to full RPL assessment. Participate in RPL competency conversations, if needed. Willingness to provide further evidence, if needed. If RPL is successful, depending on the outcome of your assessment, advise CLET if you wish to proceed to full award or Statement of Attainment. Receive your full award or Statement of Attainment via Registered Post. Nearly all of our courses are flexible and have no assessment due dates to allow for the busy student. This reduces the pressure and provides for a more enjoyable learning experience. See the following for an explanation. NO. - this means there are no assessment due dates and you may submit your assessments at your own pace. The only restriction is all assessments must be completed and submitted within the maximum course completion time. YES. - This means that your course is a structured program and will have scheduled assessment due dates. VET STUDENT LOAN (formerly VET FEE HELP as of 1 January 2017) is a government funded program that allows students enrolled into government selected Diploma courses and above a 'study now' and 'pay later' via their tax system, once they earn a certain amount. CLET does not offer VET STUDENT LOANS as we continue to offer lower fees than other colleges and TAFE'S, as this government loan facility is renowned for increasing course fees and leaving students in debt. INSTEAD, for most courses we offer interest free affordable payment plans, that can be adjusted to suit your personal budget. Check the payment plan accordion further down this course page for a suggested payment schedule. Our courses are flexible and may be studied at your pace. To determine the maximum completion time for this course, we first take into account the nominal hours allocated, then the Australian Qualifications Framework volume of learning indicators. We then add on one full year to allow busy students more time to complete, if needed. If you cannot complete your course in this time, we will discuss all available options with you. However, you may study this a lot faster if you wish. This qualification is offered via Recognition of Prior Learning (RPL) ONLY. There are no study options. Candidates are assessed against the criteria and a decision is made to award either FULL RPL and receive the full qualification, partial RPL and receive a Statement of Attainment for units achieved or NO RPL. The qualification level for this course is recorded here. This is part of the Australian Qualifications Framework (AQF), a national policy for regulated qualifications in Australian education and training. 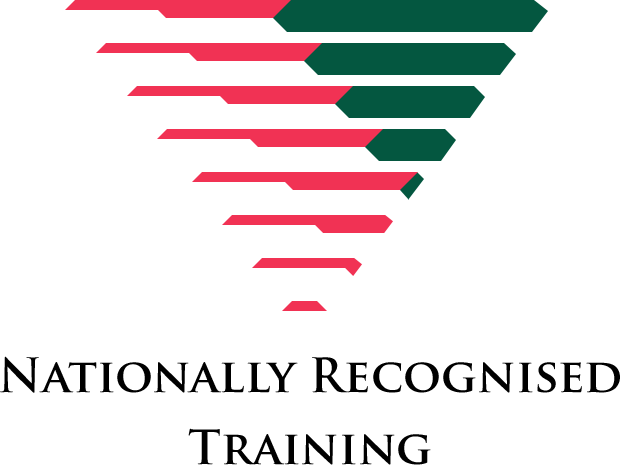 Nationally recognised training is defined as: Any program of training leading to vocational qualifications and credentials that are recognised across Australia. These include: industry training package qualifications and units of competency as listed on www.training.gov.au and courses that have been accredited by a VET Regulator. We offer our students the opportunity to pay their course fees via easy and affordable monthly payment plan options, automatically deducted on the 10th of each month from your nominated credit card you use during the enrolment process to pay the course deposit. See the Fees and Payment Plan accordion for information below. Alternative payment amounts and schedules are also easily arranged by contacting our accounts staff on 1300 760 605 or contact us prior to enrolment. Attendance indicates if you will study completely online or be required to attend a classroom or third party locations as part of your course. NO. - If there is a 'No' recorded here and you will access all course resources and all study is conducted online. However, this may include attending external websites and possible phone research if needed. For RPL candidates, if 'No' is recorded here, no attendance is required. Classroom. - This means you will attend a classroom on allocated dates, where you will receive face to face instruction from a trainer. This may or may not include face to face assessment activities. Third Party. - This means you may be required to contact and/or attend a location not operated by the college, however it provides specialist resources required for you to successfully complete your course. If more than one of these options are listed on this table, you will be required to participate in a combination of these activities. This area will either display a 'Yes - enrol now' or 'No' - meaning course is closed. Yes. - this means you may enrol into this course by clicking on the green 'Enrol Now button' either in the banner at the top of the page or further down the page to complete our online enrolment form anytime leading up to and on the course start date of your choice. These dates can be found on the timetable displayed further down this course page. CLOSED. - this means this course is currently closed and we not accepting enrolments at this time. Please feel free to contact us, 1300 760 605 for more information. The student support offered to our students is comprehensive and can be accessed in many different ways. Study Cloud. - 24/7 access. Student Hub. - Send questions and receive answers. Student Lounge. - an amazing area to hangout. Live Chat. - ask questions in real time. Phone Support. - discuss your questions over the phone. Study Mates. - make contact with other students. Audio and Video. - Listen to watch instructions and overviews. Read Speaker. - a tool that will read the text for you. Search Bar. - search for what you are looking for easily. Student Dashboard. - a personal student dashboard that provides statistical information on your study experience. This area provides you with the college that will be awarding you with the qualification. We offer monthly start dates for all courses, unless otherwise advised here. This course page displays a timetable about half way down where you can easily see the list of upcoming start dates. When you click on the green 'Enrol Now button', you will be provided with the option to select which date you wish to commence your course and your preferred payment option. This qualification is offered via Recognition of Prior Learning (RPL). Candidates who receive FULL RPL will be awarded with the FULL qualification where no gap training is required. If partial RPL is achieved, you will be awarded with a Statement of Attainment recording the units award. If you see a YES recorded in this field, then gap training is available that will allow you to study the remaining units, where you can then achieve the full qualification. If it is recorded as: No - available via RPL Only, there is no gap training available and a Statement of attainment is issued for units awarded. However, you may present the CLET Statement of Attainment to another RTO that offers study options in the area. They are bound to accept the units awarded as long as they are equivalent, so you should only be required to study the remaining units to receive the full qualification. This unit describes skills and knowledge required to establish, monitor and review the formal and/or informal business continuity management framework and strategies for an organisation. It applies to individuals working in positions of authority who have the responsibility for embedding business continuity management into corporate or organisational levels of a business. The framework is important as it provides the processes and resources to ensure continued achievement of critical business objectives in the event of a disruption (even at diminished capacity) until full functionality is restored. This unit describes the skills and knowledge required to contribute to the creation of an organisation development plan which ensures that the organisation will become more effective over time in achieving its goals. It applies to individuals with organisation wide responsibilities who are critically involved in shaping and focussing the organisation so that it can adapt to new technologies, challenges and markets. This unit describes the skills and knowledge required to manage resources in accordance with planned business strategies. It includes analysing resource requirements, developing resource plans, allocating resources, and reviewing and reporting on resource usage. It applies to individuals who have a role in allocating and monitoring the use of physical and/or human resources to meet defined business objectives. This unit describes skills and knowledge required to manage risks in a range of contexts across an organisation or for a specific business unit or area in any industry setting. It applies to individuals who are working in positions of authority and are approved to implement change across the organisation, business unit, program or project area. They may or may not have responsibility for directly supervising others. Initial RPL Review: NO FEE (Free of charge) - This is conducted when RPL Application and evidence received. PROCEED TO AWARD: $1750 - This fee is only due after initial review is completed, candidate then requests a full RPL assessment is conducted and decides to proceed to be awarded with the qualification. If candidate does not proceed to award, no fee is payable. STATEMENT OF ATTAINMENT - FEE adjusted accordingly. This occurs when initial review is conducted, candidate then requests a full RPL assessment and is awarded PARTIAL RPL for selected units. Recognition of Prior Learning (RPL) is available on all CLET qualifications. If you have completed formal or informal training and have knowledge, skills and employment experience in this area, you may apply for RPL. You will be asked to provide evidence to support your application and the CLET RPL team will assist you through the RPL assessment process. Apply for RPL below to commence the process. After reading the information provided on this qualification page, if you then decide to apply to have your knowledge and skills recognised towards this and/or other qualifications, you may click on the RPL Assessment button and complete to commence the process. Convert your skills to a Diploma of Business via RPL today and make your transition into the civilian world easier. This qualification is available via Recognition of Prior Learning (RPL) for those with a significant level of leadership and management responsibility and/or complexity in an enterprise. The College for Law, Education and Training. Copyright 2009-2016 All rights reserved. Take the short quiz below to confirm this course is suitable for what you wish to achieve and you have the knowledge, skills and equipment to get started. When needed, as you study this course CLET provides students full online study and technical support. Q1. Do you have an interest in studying business related processes, policies and practices? When studying this qualification you will learn how to Manage finances, Manage human resources strategic planning, Manage knowledge and information, Lead and manage organisational change, Manage the marketing process, Develop organisational marketing objectives, Develop a marketing plan and Develop an advertising campaign. Q2. Are you aware of the employment opportunities if you hold this qualification? This is not an exhaustive list, but does provide general employment opportunities if you hold this qualification. When you finish your course we also offer you the opportunity to enrol into our Employment Preparation area to help prepare for job applications. After reading above, you may now select YES for this question. Q3. Are you eligible to study in Australia? If you are not an Australian citizen or permanent resident, please check your visa conditions to ensure you are permitted to study with CLET while you are visiting Australia. People living outside Australia are permitted to study CLET online courses from their country. Q4. Do you possess a good level of English Language skills? It is essential that students in this course possess a good standard of English communication. During the enrolment and induction process you will be asked to complete language, literacy and numeracy testing. This is included to provide CLET student support staff with the information needed to ensure we can offer you the necessary assistance to build your knowledge and skills in the areas needed, if any. You will be required to read unit guides and articles, watch videos, write notes, write essays and formal reports, all in English as part of the assessment process. Q5. Do you have access to a modern computer and internet? CLET Courses are offered and studied using our modern and flexible online classroom called the Study Cloud. To access all study resources and student support and submit assessment documents and participate in online assessment quizzes you will need access to a modern PC or Mac. Laptops, tablets and smart phones can also be used if you wish to study outside the formal study environment. Access to the internet with a responsible speed is also needed. Q6. Do you know how to use Google? You will be asked to access websites for research purposes using Internet search engines during this course. Q7. Are you prepared to commit a certain amount of hours per week to study this course? CLET courses are flexible and have no assessment due dates. This is designed so students can fit in their study around work, family and leisure commitments. Weekly study periods are encouraged to ensure you stay engaged to increase your successful completion of this course in a timely manner. This is not compulsory, but it is encouraged. Q8. Are you willing to accept new learning challenges? This course requires a willingness to accept new learning challenges where you will work independently and use a range of study resources that may be unfamiliar that include specialised terminology, plus complete a range of assessment tasks that require a number of steps and analysis. Q9. Are you willing to read familiar and unfamiliar learning documents as part of this course? To successfully complete this course, you will be asked to evaluate and integrate information and ideas from CLET study guides and readings, while working independently to read familiar and unfamiliar specialised resources and texts involving a number of steps and analysis. Q10. Are you willing to complete written assessment tasks as part of this course? This course is full of learning opportunities and to successfully complete the assessment tasks, you will be asked to use your computer, writing and typing skills. This may include using the CLET online student hub to access support when needed. Q11. Are you willing to listen to audio and watch video instructions and complete audio and/or video assessment tasks as part of this course? As part of this course, you may be asked to listen to and follow audio and videos instructions that cover specialised content, involving a number of steps and directions. You will also have the opportunity to participate in live online assessment meetings with CLET staff when needed. All audio and video assessments are completed using your PC microphone, tablet or smart phone and uploaded to the assessment area inside the CLET online study cloud for marking. For all online meetings a web cam or your mobile device cameras will is required. Q12. Are you prepared to pay your course fees when required? All CLET courses can be paid in full or by monthly payment plans. Unless otherwise organised with CLET account staff, all payment plan payments are due on the 10th of each month. Q13. Will you have Microsoft software on your computer when the course starts? It is a requirement that you have access to Microsoft software on your computer to allow you to complete essays, formal reports and PowerPoint assessment tasks. Q14. Are you willing to install a microphone on your computer or use your smart phone or tablet to record audio for assessment tasks, if needed? It may be a requirement that you have access to audio recording devices to record and upload your answers for some assessment tasks. CLET technical staff are available if any assistance is required. Q15. Are you prepared to ask questions when needed? CLET Study Cloud provides access to many support services for students, including study and assessment support, technical and administrative support. For the best study experience it is encouraged that you will ask questions when/ if needed while you study your course. Q16. Are you prepared to complete a small online Language, Literacy and Numeracy (LLN) assessment prior to starting your course? This will be emailed to you. It is our responsibility to get to know you as one of our students when you enrol into this course. We do this by asking you to complete a small online LLN assessment that is emailed to you (usually the next business day) after you submit the enrolment form. This is not designed to excluded you from studying this course, but rather to compare your current learning, reading, writing, oral communication and numeracy skills with the course profile for when you start, to ensure we offer you the most relevant support and advice, if needed. This is designed to ensure your time with us is a positive and productive journey towards a successful completion of your selected course. Q17. Are you aware you may submit an application to be assessed for Recognition of Prior Learning (RPL) or Request Credit for Prior Study before you enrol to study this course if you already possess some or all of the knowledge and skills covered in this course? The opportunity to receive Recognition of Prior Learning is provided to anyone who believes they possess some or all of the knowledge and skills covered in their selected course/s. These knowledge and skills can be achieved through prior study, workplace learning and experience. Evidence will be required at the time or shortly after the submission of your application. You will be provided with a list of acceptable evidence on the proceeding page following a submission of a completed application. To Request Credit for Prior Study you will have completed Nationally Recognised Units of Competency relevant to this course and you can provide a Record of Results from a Registered Training Organisation. If you have read through and understand the above information you may click YES and move on if you wish. If you are unsure if you are eligible to receive RPL you may give us a call during business hours on 1300 760 605 or Live Chat or contact us and we will happily answer any of your questions. Q18. Have you read and understood the refund policy? CLET will make a full refund of all fees paid should a course be discontinued by CLET or become unavailable for delivery or assessment by CLET. In this instance, should the student desire to take an alternative course offered by CLET, the fees paid will be fully transferrable to that course. In the event of a course for which the student has sought enrolment being unavailable or no acceptable alternative course is available, all fees paid are fully refundable. In no instance will refunds be payable because the industry provider of the vocational outcome has changed their education entry requirements. Should a student cancel their enrolment with CLET the following conditions will apply regarding a refund of fees paid: The $200 enrolment administration fee is non-refundable in any instance. Cancellation by a student prior to the commencement date of their enrolled course will result in a full refund of fees paid to date minus the enrolment administration fee. No refunds will be given for cancellations of discontinuations after the course commencement date or after exclusion for unsatisfactory attendance or behaviour. Notification for cancellation of enrolment in a course with CLET must be given in writing. Contact us or via internal message in the CLET online course management system is acceptable. All requests for cancellation will be processed within four weeks and any resulting refund will be paid within one week of the claim being agreed. You appear to fulfill the entry requirements for admission into this course. You may now proceed to enrolment if you wish. It appears that you may not fulfill the entry requirements for this course. You may wish to contact CLET Head Office 1300 760 605 to discuss your circumstances further with a friendly CLET staff member. We are here to help and offer advice. Maybe there is another CLET course that better suits your current needs and circumstances or maybe we can assist in helping you satisfy the requirements for this course. If you are confident you can complete this course even though you haven't passed all the criteria, you can just confirm that below and proceed to enrolment. Yes I am confident I can complete this course, please take me to enrolment. It is compulsory for all students to obtain an Australian Government Unique Student Identifier (USI). A USI is effectively a reference number made up of numbers and letters that gives you access to your USI account. Click here to create your USI. The USI will stay with you for life and will be recorded with any nationally recognised CLET course that is undertaken from January 2015. The USI will allow you to have easier and more reliable online access to your record of training history. You will also be able to produce a comprehensive transcript of your training. This can be used when applying for a job, seeking a credit transfer or demonstrating pre-requisites when undertaking further training. Click on the following headings to learn more about the CLET recognition of prior learning (RPL) process. Who is eligible to apply for RPL? CLET specialises in providing recognition of prior learning (RPL) to people who are current or former police, military, emergency services, nursing and all other government at all levels. WHY? Because that is where our workplace knowledge, experience and education is focused and current. The RPL assessment process is 'free of charge' and 'obligation free'. You only pay the RPL fee if you wish to be awarded with your qualification/s and receive the certificate/s after the assessment process is complete and you are advised of the result. We do this in recognition of the impeccable work you have done for our community. After you complete the RPL Assessment form, evidence to support your knowledge and skills is required. When this is received, CLET staff will commence the initial review of your experience against the criteria of one or more qualifications. On the application form you may elect the qualification/s you wish to be assessed against or ask for a general assessment. The more evidence you provide that is relevant against the qualification/s criteria you wish to be assessed against, the easier it is for CLET staff to be confident you possess the knowledge and skills required. The following list provides you with a step by step explanation of the RPL process. upload your evidence on this SECURE page (Scanned copies in a .zip file) or email. What evidence can be provided to support your application? After completing the 'Is this course right for me quiz' and reading through all the information provided on this course page, if you then decide to enrol into this course, you may click on the Enrol Now button and complete the enrolment form. Click on the following headings to learn more about the CLET enrolment, support and study process. The following list provides you with a step by step explanation of the enrolment process. I have completed the 'Is this course right for me?' self assessment.